If there’s a second referendum on Brexit, what question should be put to voters? 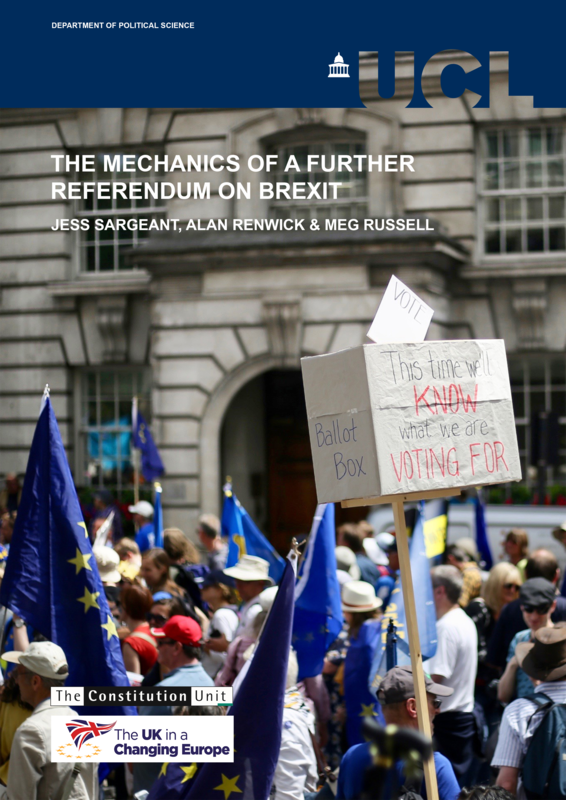 In the fourth in a series of posts on the mechanics of a possible second referendum on Brexit, Jess Sargeant, Alan Renwick and Meg Russell consider what question should be asked. This would be crucial for any vote to command legitimacy. Various models have been proposed, but some are far more credible than others in the current context. This is the fourth in a series of posts on the possible mechanics of a second referendum on Brexit. Having previously discussed the timetable, and the circumstances in which such a referendum might be called, this post considers what kind of question should be put to voters. Which options might voters be asked to choose between? Some might add a fourth option: to reopen negotiations. But any option put to a referendum must satisfy two criteria: it must be feasible, and it must be clear. An option to reopen negotiations would fail on both counts: the EU might well refuse to reopen negotiations; and there would be no certainty as to what the UK might secure from such negotiations. A referendum of this kind could not ‘settle’ the issue of the UK’s relationship with the EU. What form might the question take? No end to hereditary peer by-elections in the House of Lords? The House of Lords is not entirely unelected; July saw two new peers appointed following elections involving a very small, select group of electors. 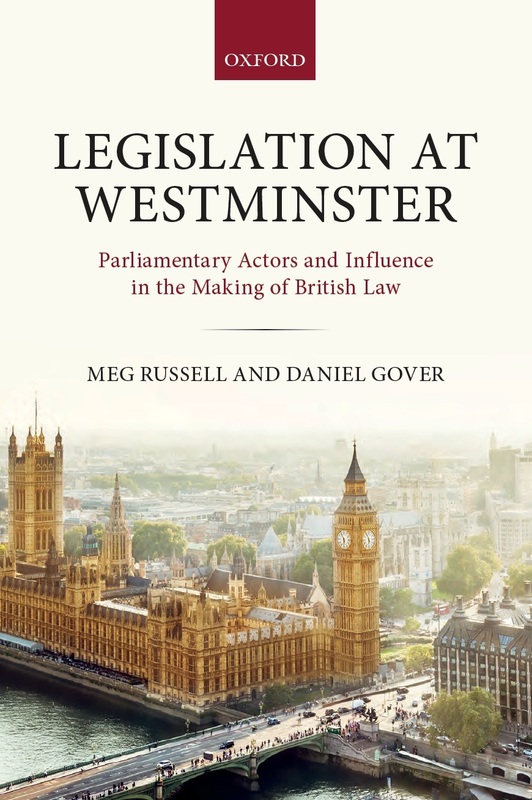 In this post, former Clerk of the Parliaments David Beamish discusses the process by which hereditary peers can be elected to the Lords, how the system came to exist, and the continuing efforts to remove the remaining hereditaries altogether. It was announced on 18 July that Lord Bethell had been elected to fill a vacancy among the 90 elected hereditary peers in the House of Lords – the 34th such vacancy to be filled by means of a by-election. The vacancy arose from the retirement of the Conservative peer Lord Glentoran (the House’s only Winter Olympic gold medallist) on 1 June. These by-elections are conducted using the alternative vote system and, despite there being 11 candidates, Lord Bethell did not need any transfers of votes, receiving 26 of the 43 first-preference votes cast by Conservative hereditary peers. This was the second by-election this month: on 4 July the Earl of Devon was elected to fill a Crossbench place vacated by the retirement of Earl Baldwin of Bewdley, grandson of Stanley Baldwin and a tireless campaigner against water fluoridation. The Earl of Devon received 7 of the 26 first-preference votes of Crossbench hereditary peers and it took five transfers of votes for him to be elected. Viscount Mountgarret was a candidate in both by-elections, receiving no votes in either. His optimism when deciding to stand the second time might have been fuelled by the success of the Earl of Oxford and Asquith, who was elected by the whole House in 2014 and sits as a Liberal Democrat, having previously been an unsuccessful candidate in a Crossbench by-election in 2011 and in Conservative by-elections in 2011 and 2013. At least one more by-election is in prospect: Lord Northbourne, a Crossbench hereditary peer, has given notice that he will retire on 4 September. On 17 April, the House of Lords’ ad hoc Committee on Political Polling and Digital Media published a report, following its inquiry into the effects of political polling and digital media on politics. At an event organised by The Constitution Unit, Lord Lipsey, who chaired the Committee, discussed the report with a panel that consisted of Baroness Jay of Paddington, a Labour peer who served on the Committee; Will Jennings, of the University of Southampton; and Martin Boon, a professional pollster. Dave Busfield-Birch offers a summary of their comments. Following an inquiry that took evidence from a variety of experts, industry professionals, and ministers, the Committee on Political Polling and Digital Media published its report on the subject on 17 April. The Constitution Unit organised an event to publicise the release of the report, which consisted of a panel discussion (summarised below) and a lively and interesting Q&A session. Committee Room 2 in the Palace of Westminster was full when Jennifer Hudson, Senior Lecturer in Political Behaviour at the UCL Constitution Unit, introduced the panel, on which she served as Chair. Lord Lipsey and Baroness Jay of Paddington introduced the report on behalf of the Committee. 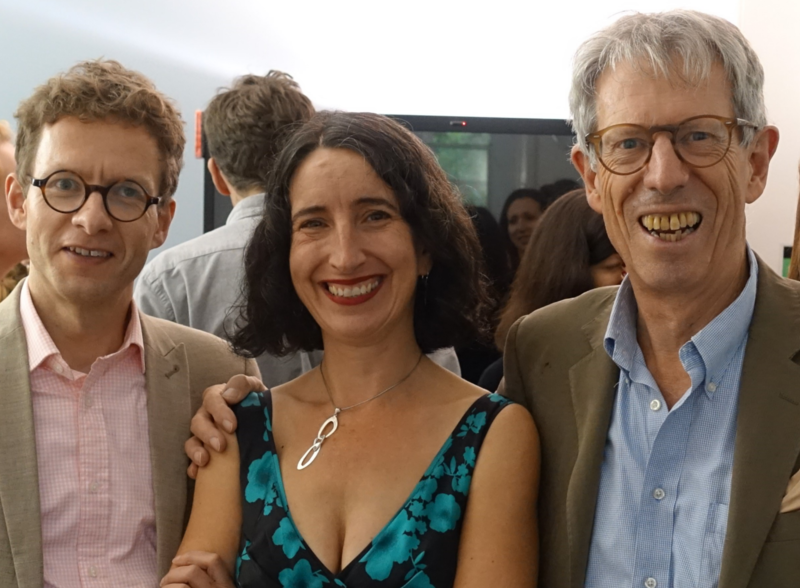 They were then followed by Will Jennings, Professor of Political Science at the University of Southampton, and Martin Boon, who provided the perspective of a professional pollster. As chair of the Committee, Lord Lipsey noted that he had enjoyed working on the inquiry that produced it, although he did acknowledge that the report was ‘slightly unusual’ in one key respect. Normally, parliamentary inquiries examine government policy, and the recommendations in their reports are aimed at influencing it. This report, however, had focused its attention on the workings of the polling and digital media industries and it is they who are the targets of most of its recommendations. One recommendation that was intended to influence government policy called for the Electoral Commission to have a wider statutory role in regulating and monitoring polling during election periods. The future of referendums: what role should they play and how should they be conducted? Two decades have passed since there was last a serious consideration of how the UK uses referendums. For this reason, the Constitution Unit established the Independent Commission on Referendums to examine whether and how the way in which referendums are regulated in the UK should be changed. Ahead of a public event in Edinburgh, the Commission’s research director, Dr. Alan Renwick, explains its terms of reference. The referendum is now entrenched as a part of the UK’s political system. The principle that a referendum is needed before some fundamental constitutional changes – notably in relation to sovereignty – are made has become well established. It seems likely that politicians will continue from time to time to find it useful to manage conflicts by proposing to put certain decisions to the people. Yet, crucially important though referendums are, there has been little concerted thinking of late about how they should be conducted. 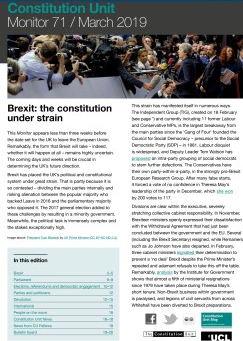 Two inquiries carried out in the 1990s – by the UCL Constitution Unit’s Nairne Commission and by the Committee on Standards in Public Life – led to the creation of some basic rules, laid down in the Political Parties, Elections and Referendums Act 2000. But these rules were always incomplete: for example, they say nothing about who is entitled to vote in a referendum. They are also now two decades old. Much has changed in the intervening years – not least through the rise of the internet and social media. Four major referendums have also been held in that period – on Welsh devolution (2011), the Westminster voting system (2011), Scottish independence (2014), and EU membership (2016) – from which lessons can be learned. Many observers have been dismayed by the conduct of those referendums, whether they agreed with the results or not. A careful review of whether we could do better is therefore overdue. The Crown: What does Netflix’s dramatisation and the celebritisation of an evolving monarchy mean for the royal family in 2018? With Prince Philip now retired from his public role and Prince Harry set to marry an American actor in the spring, the royal family has entered 2018 in the midst of a period of change. Yet change is nothing new; the monarchy is constantly evolving. Bob Morris asks where does it now stand and what further changes may be expected? He also discusses the historical accuracy and cultural impact of the popular Netflix drama, ‘The Crown’. As the monarchy enters 2018, unavoidable demographic effects are becoming more apparent. The Queen is now 91 and Prince Philip has announced his retirement from official duties at the age of 96. The Queen remains commendably diligent in her public duties, notching up nearly 300 engagements in 2017, although none of those took place abroad. There it is evident that the Prince of Wales (himself close now to 70) has increasingly taken up the burden, assisted principally by the Duke of York and the Princess Royal. As in recent years, the latter continues to be the busiest member of the family for domestic engagements. Referendums in UK democracy: how should they work in practice? 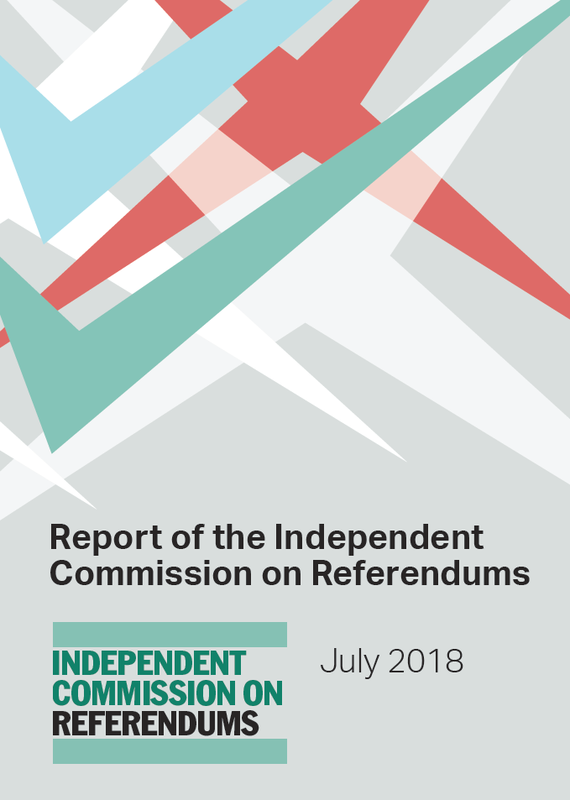 The Independent Commission on Referendums, established by the Constitution Unit to review the role of referendums in UK democracy, has now met twice. One of the issues they are considering is rules for how referendums should work in practice. The Commission’s Research Assistant, Jess Sargeant, summarises the issues for consideration. In a previous blog post I explored some principles that could be used for deciding when a referendum might be appropriate. The Independent Commission on Referendums is also considering how referendums should work in practice. The following post explores some key practical questions. Should there be rules for when a referendum is required, permitted or prohibited? The UK is unusual among comparable democracies in that referendums are held ad hoc: there are very few standing rules on when referendums are to be held. This means, at least in theory, that there are no restrictions on matters that a referendum may be held on: it could be held on any issue within parliament’s legislative competence. Many other democracies have provisions in their constitutions setting out when a referendum must be, can be, or cannot be held. Constitutional issues are the most common category of issues on which a referendum is required. For example, Ireland, Australia and Japan require referendums on any bills amending the constitution. In Austria, Spain, Lithuania and Iceland amendments to certain key parts of the constitution must be approved in a popular vote. There are also examples of referendums being required on other issues: Denmark has mandatory referendums on transfers of sovereignty and changes to the voting age. Where referendums are not required on constitutional amendments, there is often a mechanism allowing a parliamentary minority to trigger one, as is the case in Italy, Austria and Spain. In some democracies, legislation can be put to a referendum if requested by a body so empowered by the constitution. This could be the parliament, as in Denmark and Austria, the president, as in Ireland and Iceland, or groups of citizens, as in Italy and the Netherlands. Where referendums are permitted on legislation, certain types of legislation are often exempt: most commonly, finance, budgetary and tax laws or legislation implementing treaties.